Well Bud, What would you suggest we do about our homeless problem? Seems this project is aimed at getting people off the street. I understand the nimby feelings but then where? Or not at all? We have to do something to alleviate the problem of homelessness in our city. The cost of the homeless thru the use of police fire and emergency services can be offset and probably greatly reduced by providing places for these people to live and get counseling and treatment. Seattle has been dealing with a homeless crisis that is much worse than ours and we may be able to learn from some of their strategies. One thing for sure is that the problem of having people living on our streets is not going to just go away. You feed and house them and they will come. They bring drug abuse and mental issues to your town and are happy to live on your good intentions. I don’t want to be harsh but this is the reality of what happens when they move in in great numbers. 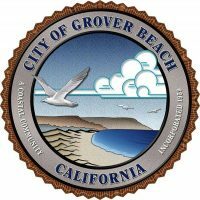 Does Grover Beach want 500 people on the streets all day. begging, pan handling and keeping shoppers away from the business district.